Where to Bring Kids in Singapore? Ultramodern, uber-rich and utterly clean and green, Singapore is a melting pot of traditions, cultures, arts and big-shot events with an unmatched spark that outshines many other travel destinations in the world. It’s one of Asia’s top vacation destinations, beckoning solo travellers, families and couples from across boundaries to experience its ingratiating aura. This vibrant island has a mesmerising package of attractions and activities that are meant for people of all ages, especially adventure-loving kids. The world-class public transport system that’s zooming around the city’s local gems is supremely convenient. Singapore’s outdoors and adventure parks are known for their fun-filled and adventurous activities that are open to kids of all age groups. Continue reading to find where to bring kids in Singapore and a few things you must add to your bucket list when visiting Singapore with your little ones! 1 Where to bring kids in Singapore? 1.12 When to visit Singapore? If your kid fancies Hollywood, Universal Studios Singapore is a must-visit. This place has seven theme parks with numerous shows and rides, the style of all of which hails from super-hit Hollywood movies. Madagascar A Crate Adventure- great for kids of all ages with its indoor boat rides and realistic special effects. Transformers: The Ride 3D – Children 102cm to 122cm must be accompanied by a supervising companion. You can stroll down Hollywood Boulevard to click snaps with Marilyn Monroe or Charlie Chaplin—just enough to give a feel of being in the States. When: You can visit the studio daily between 9 am and 6 pm. How much: A one-day ticket costs $56 for kids and $76 for adults. The marine realm of the S.E.A. Aquarium has over 100,000 aquatic animals, all of which can fascinate young kids like nothing else. It is one of the largest (and most beautiful) aquariums in the world that gives your little ones to witness stingrays, moray eels, dolphins, jellyfish, sharks and a number of colourful corals and fishes. The Open Ocean is an interesting part of the setting and is sure to blow you away with its enormous size. You can put up in an Ocean Suite room to behold the beauty of underwater marine views. When: You can plan a trip to this place on any day of the week between 10 and 7 pm. How much: The cost of a one-day ticket is $29 for kids and $39 for adults. Still on Sentosa, you can hop by Kidzania by the Sentosa Express to get to this wonderland for kids. Kids are almost guaranteed to love this. Note that one full day is needed, and you should avoid Saturday, Sundays as the queue at each station is CRAZY. Parents? Be a chaperone, and take a lots of pictures for your ticket worth! Getting there: Go to Harbour Front MRT Station and transfer to Sentosa Express. Alight at Beach station. Note each express ticket costs $4. For more economical way, take a cab from HarbourFront mall and go to Resorts World to transfer to Sentosa Express. Once you are in Sentosa, the express is free. So, you skip paying for an express ticket per pax! This place is counted amongst the best family-friendly Singaporean attractions located on Sentosa Island, and it lives up to this reputation by providing a unique experience to all its visitors. The theme park is sitting beside the beach and houses a plethora of slides, play areas and climbing frames, along with retail options and restaurants for adults. You can take your kid to the multiple games and activities that happen in the park throughout the day. You should certainly check out the Palawan Pirate Ship, the memory of which will stay with your kids forever. Getting there: Located at 54 Palawan Beach Walk, Sentosa Island, take the Sentosa Express and alight at the Beach Station. Wait at the Tram station for a tram, or walk from Beach station. When: The restaurants at Beach Station are opened from 10 am to 10 pm and the Pirate Ship closes at 6. You can, however, spend some time here till 7 pm. How much: You can enjoy all the rides as a family for free! What else do you need for family bonding? EVENT ALERT! Catch the Pikachu Night Parade at Palawan Beach Dec. 14-16 and 21-23! Have dinner at Beach station and catch the Wings of Time at 740pm or 840pm. Note this is a ticketed show. Even if you are skipping the show, wait around at Beach Station at 8pm for the fireworks. Singapore Zoo is one of the world class zoo you should not miss. It is one of the most well designed zoo in the world – where the boundaries are completely fenceless, thereby creating a completely natural ecosystem for animals. The zoo harbours more than two thousand animals, including mouse deer, flying foxes and lemurs. So, if you live in Singapore, or is visiting for the first time, you must not miss this for your kids’ sake. Visit Singapore Zoo and enjoy a sumptuous breakfast and witness Orangutans (yes, the real ones) and the incredibly beautiful antics out there. Consider it a stroke of good luck because this is the only zoo where you can do this. Visit the pandas at River Safari. Note that this is a separate park from the Singapore Zoo which warrant a day of visit too! If you are still game, do not miss out the Night Safari and Rainforest Kidzworld, all of which will thrill your kids to the utmost. Take the Mandai Express from these MRT stations- Khatib, Tampines, Bedok and Sengkang. When: The zoo opens at 8.30 am, which is a good time to cover the park without going through a thick crowd of visitors. How much: You will have to pay $23 for kids and $35 for adults, but it’s worth paying a visit. If at all you are in the mood for some wildlife watching after the show, head to Singapore Night Safari, which is a world-class facility providing wonder and entertainment for visitors. The setting is a research, conservation and rescue unit for wildlife uplift and allows you to witness thousands of animals from all over the world in their natural habitat. Bharal, mouflon, Himalayan tahr and markhor are few animals that are highlights of the place. It’s just the never-seen-before nightlife that both you and your kids should experience when in Singapore. Where: 80 Mandai Lake Road. When: You can visit this place on any day of the week between 7.30 pm and midnight. How much: $68 for kids and $88 for adults. Gardens by the Bay will always amaze you and your kids. The out-worldly structures sprawl across Marina Bay and light up when night falls. This horticulture destination has two areas, Bay East Garden and Bay South Garden with numerous must do. Check out the Far East Organisation’s Children Garden, which has spectacular water gardens and interactive playgrounds. It’s also free for all. If the heat gets a little too much to bear, you can retreat to the two domes, which have natural environments to provide cooling relief. The world’s largest waterfall is also here in the Cloud Forest, which is a surreally misty setting. Have an educational tour around the Forest and Flower Dome for plants from all over the world. Supertree Grove steals the limelight with its breathtaking variety and beauty that brings the natural and the concrete perfectly in one frame. Stay til the night for the beautiful night show at 7.45pm, 8.45pm daily (See below). How much: $15 for kids and $28 for adults for Flower Dome and Cloud Forest. Supertree Grove is free and other gardens are free. This is probably the one night show you do not want to miss. The skies of Singapore glow as the Rhapsody Sound and Light Show starts at Gardens by the Bay. The tall harvesting towers light up with multiple colours that will dazzle you. The magnificent sight of Supertrees coming to live with lights and music is a spectacle that nobody should miss. It’s going to celebrate a month of Retro Fever, which will whisk you away to the 1970s with an energetic disco hall. Note: Choreography of the light show changes seasonally so you will never see the same thing when you return! Where: Gardens by the Bay. When: You should also look forward to the Christmas Special, which goes on from the end of November through December and brings together amazing local artists on board to perform renditions of popular classics. The show starts at 7.45 and repeats at 8.45pm. You step into this old Chinese settlement, and you will be amazed at how beautifully the markets are set. The charming facades of traditional shophouses will welcome you with their vibrant decorations that glitter in the sunshine. It’s also one of the cleanest places in Singapore, although it preserves the hustle-bustle of a typical district. Tour around Chinatown for cheap souvenirs. Get your kids to do the budgeting and do some shopping for folks back home. Visit the Chinatown Heritage Centre, which provides a glimpse into the history of Singapore’s Chinese migration. It certainly sparks an interest for history in young minds. At the end of the tour, settle in for a delectable ice-cream sandwich, which would be a real treat for your kids. Visit the Tin Tin Shop along Pagoda Street, just a few doors away from the Chinese Heritage Centre. Reminisce your childhood with your kids as you check out the Tin Tin toy collections. Have a kopi at the little Nanyang Old Coffee cafe at the end of Smith Street. 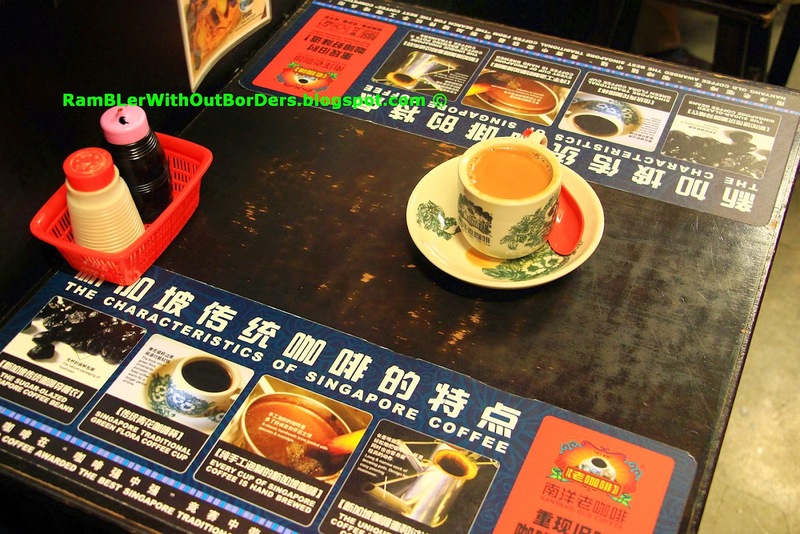 Task your kids to order something via the local menu and learn what’s what of the Singapore coffee culture. Have an instagram moment with the kopitiam next door. Visit the 3 different places of worship along South Bridge Road for an immersive cultural experience. Ask your kids to consider why there are different places of worships along the same street! When: Most places opens at 10 am, but some shops open much earlier, starting from 7 am. So, you can visit this place any time of the day as per your convenience. How much: Most of the places have free entry. There’s just so much fun things at the Singapore Science Centre that we can’t even summarize it all in this blog. The Singapore Science Centre is designed to bring science alive for the school going kids. But beyond science, it is a host to interactive and fun exhibits that will not only entertain your school going children, but you adults too! Have them latest exhibitions such as Climate Change Challenges, E-mmersive Experiential Environments, learn about earthquakes and tsunami, and many more! Have a fun wet day at the Waterworks and learn about the importance of water! Visit KidsStop for more educational fun for the day! Visit the nearby Snow City for a day of snow in tropical Singapore. The Science Centre also brings in world-class exhibits in the past, so do check out their latest exhibits worthy of your visit. Check out what’s on here before you visit! When: Check out the closure time and dates for the different facilities here . How much: Starting from $6. Check out their comprehensive ticket guide here. Want more of toys? You can satiate your kids’ hunger for toys by visiting this toy mecca. This five-level museum will mesmerise your kids with its bank of over 50,000 toys that hail from forty different countries and dates back to the 19th century. Batman, Japanese Characters, Dan Dare and space toys are popular vintage toys that the museum preserves within its levels. You can also get to see some exciting collectables like large-item displays and tin boxes on one of the levels. Check out the special activities and exhibitions here before you head down. Getting there: Located on 26 Seah Street, you can reach this place conveniently from Bugis MRT and City Hall metro stations. How much: $7.5 for kids and $15 for adults. If there is a place where you can witness Singapore’s past and future, then it’s the Singapore Discovery Centre. It’s a perfect combination of an outdoor play area, art gallery and science museum, and brings together interactive displays and numerous entertainment options for little ones. You can even treat your kids with short 3D movies and a bus tour around the Singapore Military Institute. Check out their programmes here. The centre is an amazing place for kids because it has an interactive museum, which teaches them a lot about science and history. Kids can fly a 4D helicopter, record their own news broadcast or step into the shoes of an astronaut, all of which can make them go gaga over this place. It can be a great outdoor activities for toddlers in Singapore. It’s home to the So Singapore Theatre, where you can catch a five-minute campy show by the Merlion. It’s a nice place to enjoy some funny gags. The place offers a chance to see the SAFTI Military Institute on a guided bus tour from Tuesday to Sunday. The Crisis Simulation Theatre, Total Defense Wall, Harmony Circle and 4D Simulator Ride are few of the many kid-friendly attractions you can see at this place. When: You can plan a trip to this incredible attraction any day between Tuesday and Sunday. How much: Free for Singaporeans and PRs. For tourists & foreigners – basic packages start at $6 for younger children to $10 for adults. More options here. Visit and dine at a hawker centre: this is one place so iconic of Singapore that you should add to your list. Besides, what’s not attractive about tasting mouth-watering street foods. Don’t worry about hygiene because the food carts are graded and licensed. Task your kids to hunt down the best food and verdict their choice! 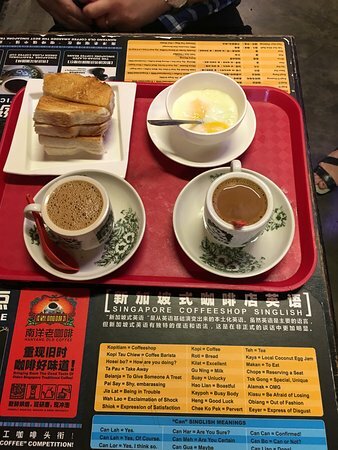 More interesting options to witness the gastronomic side of the island: Have a traditional Singaporean breakfast at any kopitiam or if you like a safe bet – Yakun Kaya Toast in the shopping malls is popular with Singaporeans. Still not enough? Then check out this list of indoor playgrounds! There’s so many playgrounds around Singapore, that you can just have your kids go crazy doing playground hopping! Summer months starting from June to August provide ideal weather for families and kids to visit Singapore. September to December is monsoon season so you can expect rainy days. But the weather is much cooler during those months, and you get to see the festive light up (Deepavali and Christmas). But, if you ask us, anytime is good to visit all year sunny Singapore! Do plan your trip early so that you get tickets and accommodations at a reasonable price. We hope that you’ve enjoyed reading our post on ‘Where to bring kids in Singapore?’. Kindly share your thoughts and suggestions regarding this post, as a comment below.